That show Hoarders is terrifying. Unless I missed something in philosophy class and art history class, Nietzsche was not an artist. Every time I watch it, I get the urge to throw everything out. And yeah, it's amazing that Ellsbury looks so much younger than this thing. Also, Ellsbury's girlfriend is not cute. #2: me too. I had never heard of it, and then watched 3-4 episodes on Netflix. Big clean out the next day. That show also turns me into a fascist. Those people should be neutered and then sent to a prison island. But it also gives me a lot of self-confidence. I may be a bit messy from time to time, but you'll never find 43 dead cats in my garage! 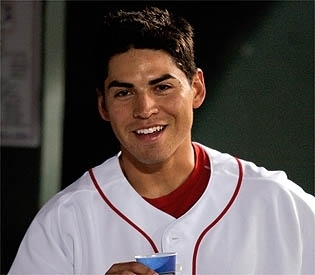 Jacoby Ellsbury was born three days before Amy Winehouse. Think about that for a second. That's about three-quarters of a second more than it deserves, but all right. Lenny Dykstra was born one day after Travis Tritt. Ken Caminiti was born five days after Little Jimmy Osmond. Zach Greinke was born three weeks after T-Pain. Roy Halladay was born two weeks after one of the guys in Reel Big Fish, and two weeks before one of the other guys in Reel Big Fish. Think about it. Zach Greinke was born three weeks after T-Pain. "Zach Greinke" is a good name to yell into an autotuner. I have to force my mother to watch it as therapy for just that reason. She's not Hoarders-level, but her VORP (packrat) is definitely HOVG. Oh ####! 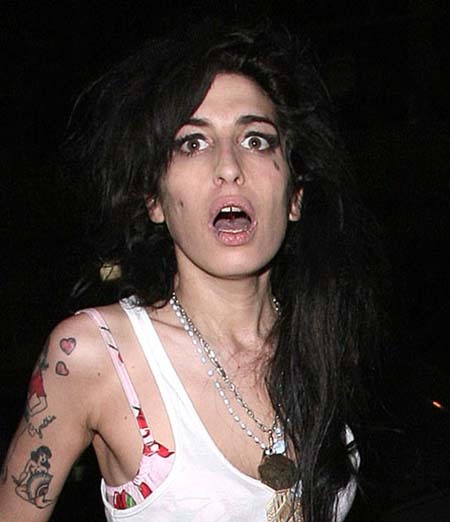 I'm sure I'm the last to know, but Amy Winehouse died? As with Calvin Coolidge, how could they tell? Did the Giants know that when they drafted him? Nietzsche was one of the few major philosophers who made an effort to write interesting prose, and maybe the only one (since antiquity, at least) to obsess over the meter of his writing. It's a bit of a stretch to call him an artist, but not a massive one. 1. Nietzche actually understood art. 2. "Hoarders" would be unwatchable if they included the smell of those places. 3. Mike Trout is a year younger than Jon-Benet Ramsey.